Beer takes us on adventures. It allows us to discover new flavors and cultures. Our quest for great beer can lead anywhere, from corner pubs to faraway breweries. For Heavy Seas founder, Hugh Sisson, beer altered the trajectory of his life. In 1980, intending to become a stage actor and director, Hugh's plan was to move to NYC after completing his course work for a masters degree in theater. Hugh's father, Albert, a Baltimore area businessman, persuaded him instead to come "help" at a newly opened family business, a tavern called Sisson's. When Hugh showed up to start what he assumed would be a short-term position, his father tossed him the keys to the pub, said "OK, don't f*** up!" and walked out the door. Heavy Seas is about adventure, challenge, risk taking, rebellion, and an active lifestyle. Symbolizing a certain swagger, our pirate logo is the perfect metaphor and the ocean has always been one of man's greatest challenges and most inspiring adventures. We love people who have the courage and character to challenge what life has to offer, aware of the risks, and who embrace it anyway. We make beers to celebrate both the people and their adventures. It's an attitude, a lifestyle and who we are. Starting in 2016, Heavy Seas has partnered with Clean Water Fund to help in their efforts to ensure cleaner water, cleaner air, and protection from toxic pollution in our homes, neighborhoods and workplaces. Organizations and coalitions formed and assisted by Clean Water Fund have worked together to improve environmental conditions, prevent or clean up health-threatening pollution, and to strengthen related policies locally and nationally. Heavy Seas is dedicated to help non-profits as best as we can. However, we believe we can achieve greater overall impact by supporting a smaller number of groups in more substantial ways, while focusing on groups that are closely aligned with our brand's core principles and character. Beer takes us on adventures. It allows us to discover new flavors and exotic cultures. Our quest for great beer can lead anywhere, from corner pubs to faraway breweries. For Heavy Seas founder, Hugh Sisson, beer altered the trajectory of his life. In 1980, intending to become a stage actor and director, Hugh's plan was to move to NYC after completing his course work for a masters degree in theater. Hugh's father, Albert, a Baltimore area businessman, persuaded him instead to come "help" at a newly opened family business, a tavern called Sisson's. When Hugh showed up to start what he assumed would be a short-term position, his father tossed him the keys to the pub, said "OK, don't f*** up!" and walked out the door. Hugh had spent a great deal of time in pubs during college and grad school, but until that point, his entire bar experience had always been on the consumer side. With Big Al's handoff of Sisson's pub, Hugh was abruptly faced with learning the "landlord" side of the equation. Despite no business background, Hugh quickly realized he needed a way to differentiate Sisson's from other bars to give customers a reason to visit. Having studied in England in 1974, his eyes had been opened to traditional cask-conditioned ales, essentially unheard of in the US at that time. His pub and beer experiences abroad made him a fan of "better" beer, influencing his decision to make Sisson's into a beer destination. By 1982, Sisson's had the largest selection of beers in Baltimore and was Baltimore's first draft Guinness account. The consumer's interest in beer was growing fast, so in 1984, Hugh and his father decided to explore the idea of making their own beer at the pub. Only a handful of brewpubs existed at that time in the US, so turning Sisson's into a brewpub was a groundbreaking concept. One big problem - brewpubs were illegal in Maryland. Undaunted, the Sissons - under the tutelage of Senator George Della - introduced a bill in the MD Legislature in 1987 to legalize brewpubs. Much to their surprise, the bill passed on first attempt. Sisson's officially became Maryland's first brewpub in August 1989, with Hugh as the brewer. Hugh remained at Sisson's until December 1994, when he left to form a new company, Clipper City Brewing Co., now home to Heavy Seas Beer. Today, Heavy Seas produces 18 different beer styles and distributes in 17 states. 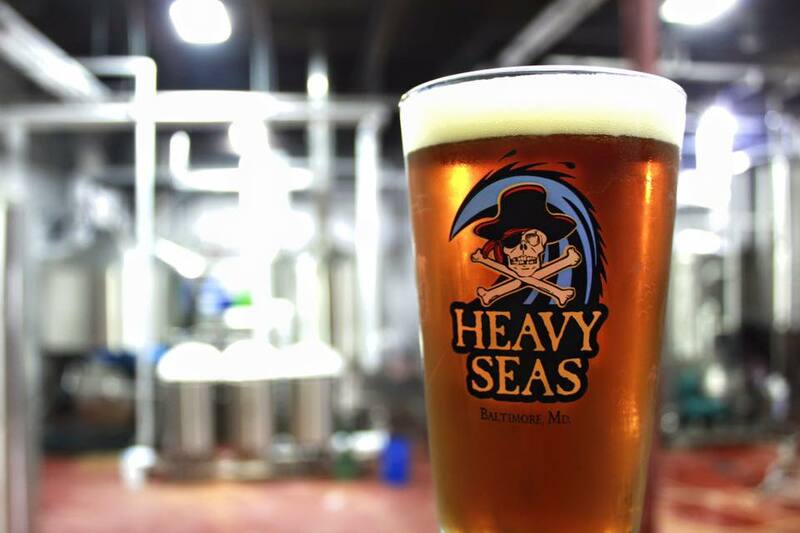 Heavy Seas has become one of the most respected and award winning craft breweries on the East Coast. The company celebrates its 20th anniversary of business operations on December 8, 2015. The Partner Ships Series: Maine Beer Co. The Partner Ships Series: Stone Brewing Co.